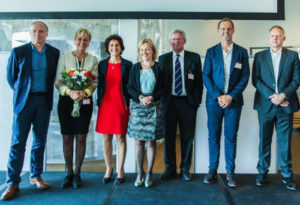 The research project NOCI (Netherlands Organ-on-Chip Initiative) has been awarded a prestigious NWO Gravitation subsidy (Zwaartekracht premie) of 18.8 million euros. Lina Sarro (nanotechnologist, TU Delft), all linked to the organ-on-chip consortium Human Organ and Disease Model Technologies (hDMT). NOCI aims at creating a new platform, based on a combination of human stem cells and microchips, to learn more about the development of diseases and to better predict the effect of medicines, and will be a decisive step towards personalized health care.